The ever adorable sweetheart Natalie Portman has had a fantastic film career so far and has done much more to deserve a spot in our Geek Of The Week archives. Believe it or not until I started writing this article (an most of you who read it) did not know that Natalie Portman was born in Jerusalem by the name Natalie Hershlag, that has such a ring to it. A brainy chick that she is, she holds bachelor’s degree in Psychology from friggin Harvard University. In fact she cares so much about education that when she was in high school, she skipped the premiere of Star Wars Episode I so she could study for her final exams (talk about dedication). She’s even taken graduate classes at the Hebrew University of Jerusalem and guest lectured at Columbia University. She’s co-authored papers published in several scientific journals. 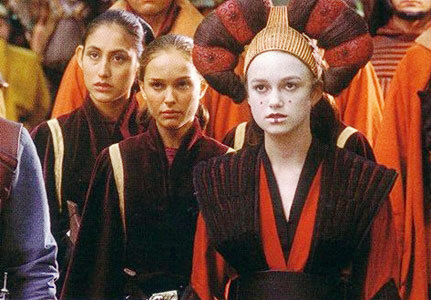 She really fell into the hearts of geeks everywhere when she was cast as Queen Amidala in the Star Wars prequels. An onscreen team up of her and Kiera Knightley in Episode 1 caused nergasms worldwide. Natalie earned our love during all three Star Wars prequel upstaged only by the incredible character skills of Jar-Jar Binks. She maintains an excellent balance between both dramas and sci-fi flicks, playing incredible roles in movies such as the tempting Alice in Closer, the lovable Sam in Garden State, Evey in V for Vendetta, and most recently Jane Foster in Thor, in which she passed our expectation as a worthy portrayal of Thor’s love interest. And who could forget her role in Black Swan where she made most movie goers ‘quite excited’ during her totally awesome scene alongside Mila Kunis. She continues to be involved in the production of Pride and Prejudice and Zombies, she has leant her voice to The Simpsons (a true attribute to success), and has shown her comedic side on SNL, Funnyordie.com, and a few films. Aside from acting, Natalie is great humanitarian. Proving so with her involvement as an advocate for animal rights, acting against poverty by traveling to third world countries to help, as well as being an active voice in politics. Making her an all around fantastic and wonderful human being. With an abundance of award winning roles, an ivy league degree, better hobbies than anyone I know, and more talent than us, Natalie is one of our favorite geek girls and worthy of being our Geek of The Week. We thank Natalie for all she does and all she continues to do and to please tell George Lucas we don’t need any more movies to kill the franchise. As always here are some closing images for your viewing pleasure and since we love Natalie so much we will be as tasteful as possible. -Photos used are property of LucasFilms, Fox, Pheonix Pictures, beyondhollywood.com, Trinix.org, Elle Magazine respectively. They do not belong to GeekTheWorldOnline and are intended for use in character and media review in strictly entertainment and editorial means. Their use is protected by Section 107 under the US copyright law. 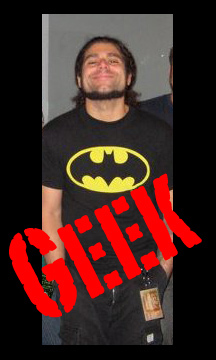 Claudio earns his right as Geek of The Week because he was a geek even before he became famous. 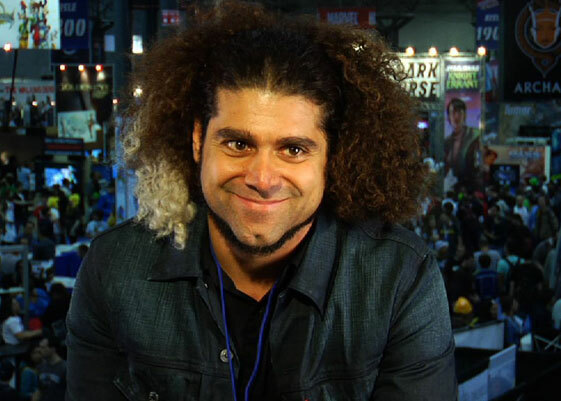 He has written every Coheed and Cambria album based on the comic book Amory Wars, he created. Hell he even named the band after the two main characters. Totally immersing yourself and all your work into a fictional universe you created in your head, and had thedrive to transfer it into several mediums (a comic series, several concept albums, and a novel) is impressive in itself. The fact that he has tried to bring it to life and has managed to introduce millions of fans into the story is a megageek’s dream. I mean what true geek doesn’t have an original epic story or some kickass fan fic they’ve written? I’ll admit I got introduced to Coheed and Cambria after they had been around for a little while. They had just released Good Apollo, their fourth album. A friend let me borrow all the CDs and comics and from then on I was hooked. Having comics to graphically portray the albums was incredible. The whole story and concept was brilliant. Aside from The Amory Wars, Claudio is also the creator of Kill Audio. Probably one of his lesser known works. 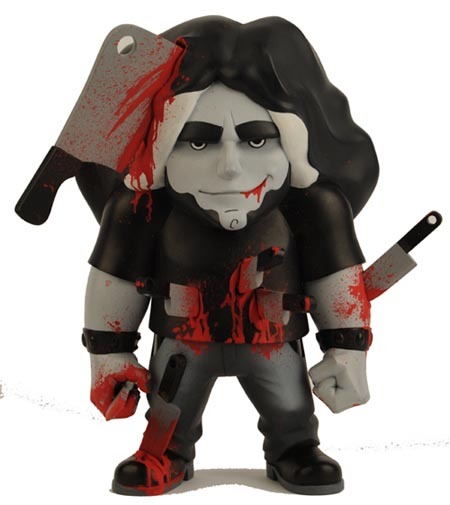 He did get a sweet action figure of himself and as you can tell bares the extreme hairdo pulled off by few others. Claudio has broken into many of the genres of geek. 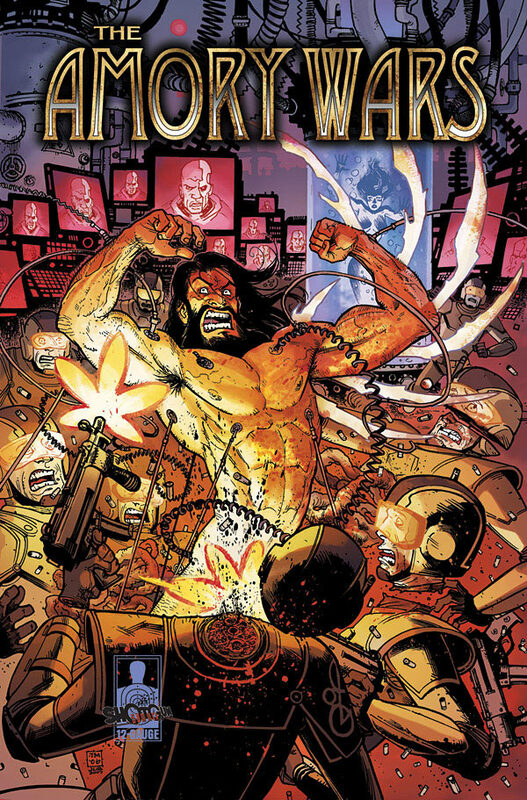 Comics, music, action figures, books, and even video games; along with the rest of Coheed you can hear their song Welcome Home in Rock Band and Madden 2006. Claudio had managed exist in the elements that make the geek world after having been a long time fan. I can only imagine how he must feel about that. The thought baffles my mind. 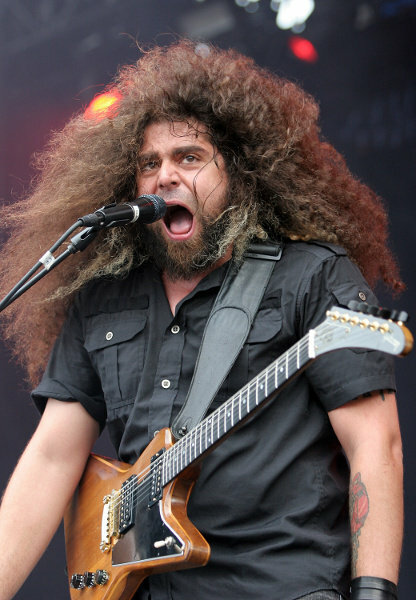 If you’ve never heard of Claudio before or his band Coheed and Cambria, I suggest you get Googling. Claudio is a definitive geek. He’s into everything you and I are and absolutely someone cool I feel I could totally hang out with. After all, who doesn’t want to hang out with someone with such great hair and had far too much going on in their head its scary (remind me of myself). Plus there’s this…. Now if that doesn’t just scream “I’m totally chill.” I don’t know what does. So let’s face it Claudio; comics, video games, concept albums, awesome hair, mysterious blood smeared over your clothes……you’re a geek. -Photos used are property of Columbia Records, Evil Ink, Claudio Sanchez, and MTV respectively. They do not belong to GeekTheWorldOnline and are intended for use in character and media review in strictly entertainment and editorial means. Their use is protected by Section 107 under the US copyright law.